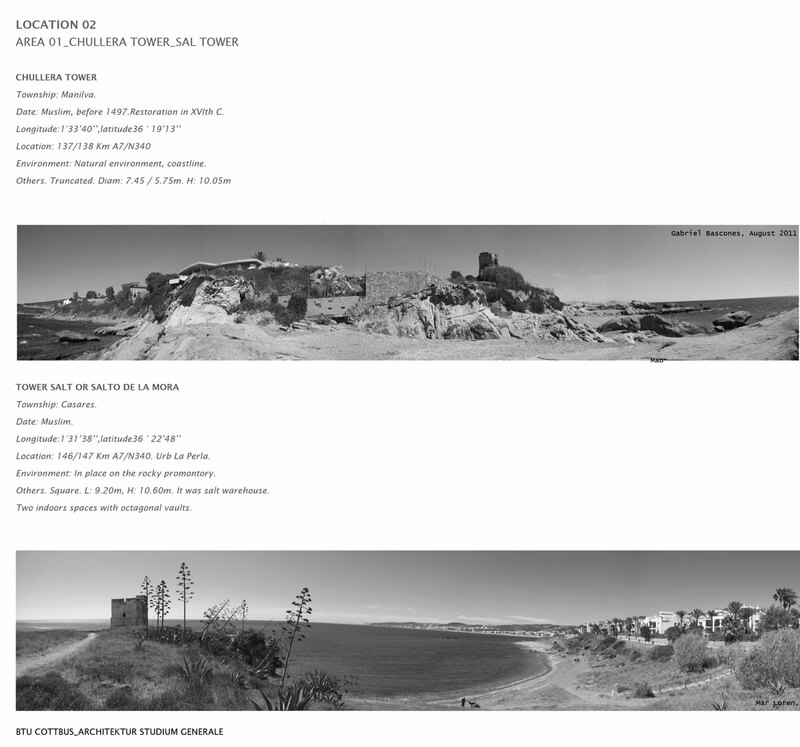 V:III_6.2 [SVQ] WS6 [C1] Workshop Programme & Results "Territory, Cultural Landscape and Urban Development on the Andalusian Coast. Tourism and Social Sustainability." Sevilla | The 'obsolete sand+sun touristic model' of the Costa del Sol represents the increasing process of accelerated coastal sprawl development driven by aggressive speculation throughout the second half of the 20th century until today. The prevailing trend towards over-simplification and a macro-analysis of the territory in isolation, a reductive, homogenous approach, needs to be counterbalanced by historical, critical and architectonic considerations reflecting a multifaceted system that is both plural and diverse. The potential model for a cultural landscape along the coast serves to develop alternatives of critical reflection and sensible transformation of the given structure and its 'Hinterland'. Seville University has worked on the territorial transformation of the Coast, a contemporary phenomenon of critical importance both on European and international level. 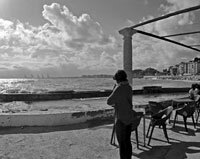 The research topic rethinks its obsolete sand + sun touristic model, approaching the developed coast of southern Europe as heritage, as Cultural Landscape in order to propose its potential regeneration. [Fig. 01] Photomontage of the Costa del Sol. Cover of Seville University Syllabus. Designed by José Eduardo Medina. Mar Loren-Mendez is the director of the Research Group HUM-666 Contemporary City, Architecture and Heritage (CAPC Ciudad, Arquitectura y Patrimonio Contemporáneos). A specialist on Coastal Transformation and Tourism, she founded a research line on tourism within the group in 2005. Since 2014, she is the coordinator of the research topic Littoral, Tourism, Infrastructure and Sustainability of the International Doctoral Program on Architecture at Seville University. [Fig. 02] Aerial view of the Costa del Sol looking west from Benalmádena. Photo: Jacques Maes, March 2008. The coast and its architecture have been understood as a consumer product: the sun and the beach as its most precious goods. 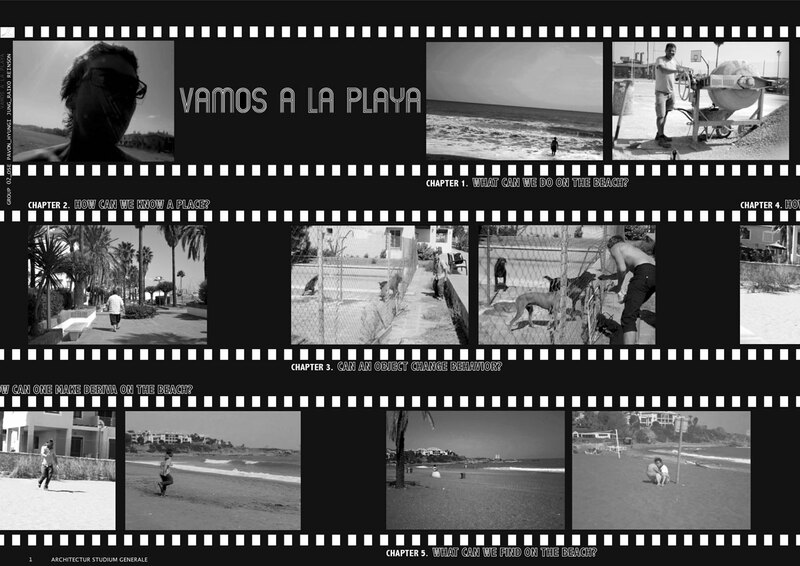 A monographic approach has typified the coast, defining it as a homogeneous touristic reality. Studies that consider this area purely on the basis of tourism however, are incomplete and it is necessary to adopt a wider view, which encompasses not only tourism as a key feature, but also other dynamics in the area. As the phenomenon is so complex, it is however impossible to apply traditional research tools or a linear methodology. 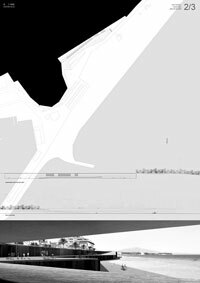 The prevailing trend towards over-simplification needs to be counterbalanced by critical and architectonic considerations of the coast as a multifaceted system. 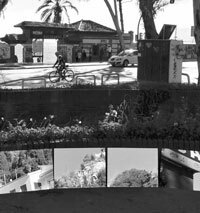 The students are asked to identify the different layers that now are invisible in this fragmented territory in which the touristic dimension prevails: small worlds – in Marc Augé's words – which do not connect, which come across but never interact. Contrary to its understanding as a continuous touristic unity, a micro-analysis of the coast allows us to analyse it as a system of differences (Mar Loren-Méndez, 2014 ). We have worked on the differences of its fragments; an identity, a similiarity are effects of a system of differences, following Deleuze's theoretical approach in Difference and Repetition (Deleuze, 2002 ) In contrast to the big scale of urban planning studies that have characterized the development of the coast, the singularity and specificity of each part are essential in order to reactivate this territory. The projects work on a research proposal that avoids generalization and develops a critical analysis based on the specificity and diversity of each of its fragments. In order to overcome the incomplete and stigmatized consideration of this coastal territory and recognize its values, we propose to study it from the scope of heritage, approaching it as Cultural Landscape. We look for a multi-layered analysis in contrast to a limited disciplinary and formal approach to the built environment. The workshop tackles the coast as a consolidated, permanent inhabited space, transcending the prevalent discourse of seasonality. The proposed programs should reflect on the needs of its permanent inhabitants. The concept of local should confront this globalized space mainly constituted of housing, beaches and hotels for the summer residents, a fragmented reality in space and time in need to be reconnected. However, it is difficult not to feel trapped and overwhelmed by such a saturated space, colonized by banal architecture and formalized in such a desolate landscape, an urban conurbation of more than 100 kilometres, made of disconnected resorts. In order to take advantage of the synergies of projects working on this more updated complex interpretation of the coast as cultural landscape, the workshops proposed sites with heritage values easily recognizable. [Fig. 03] Panoramic view of Bolonia Bay, part of the Strait of Gibraltar Natural Park. Photo: Mar Loren-Méndez, August 2011. [Fig. 04] Panoramic view of the Dune on Bolonia Bay, declared Natural Monument. Photo: Mar Loren-Méndez, August 2011. [Fig. 05] Location of the medieval watching towers (torres vigías) on the western part of the Costa del Sol. Image from 06 Syllabus Workshop 6. First Rotation. Mar Loren-Méndez, Gabriel Bascones and Esther Mayoral. [Fig. 06] Identification of two of the towers, Torre Chullera (Manilva) and Torre La Sal (Casares). Image from 06 Syllabus Workshop. First Rotation. Mar Loren-Méndez, Gabriel Bascones and Esther Mayoral. 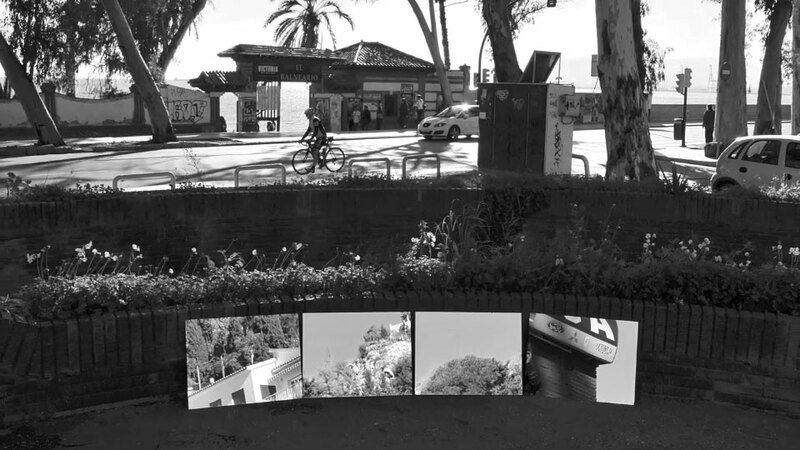 The main five-week exercise is then located on the Costa del Sol, in which the urban development of tourism has transformed the area into a consolidated conurbation: therefore, to look at it as heritage, as cultural landscape, is much harder. 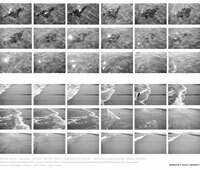 The students work on the territorial scale, facing the complexity of this contemporary phenomenon, finding the singularity of each part of the coast. 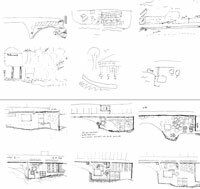 In order to embrace the urban versus the suburban character of the coastal settlements, students work on two different situations or sites. 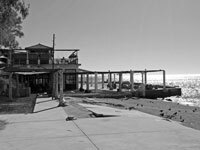 The first site is an empty plot on Estepona seaside promenade, where a hotel has been demolished, a space that concentrates the intensity and complexity of the existing reality in one point. [Fig. 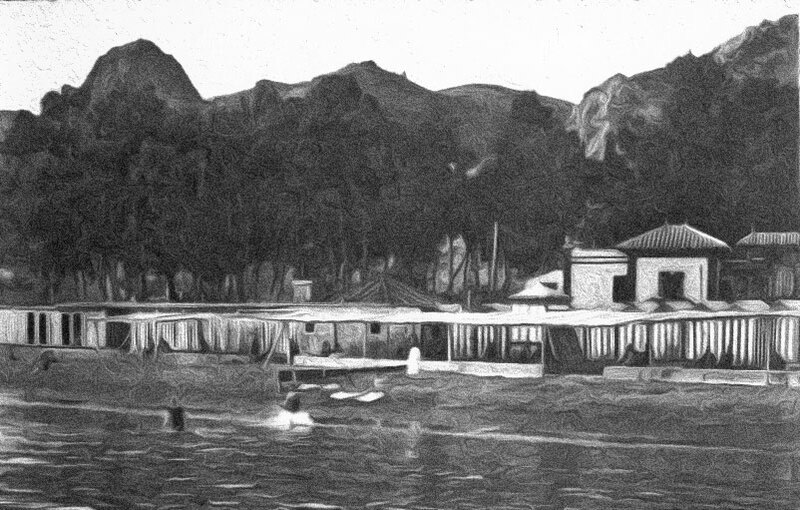 07] Historical image of the "Baños del Carmen" from the sea. [Fig. 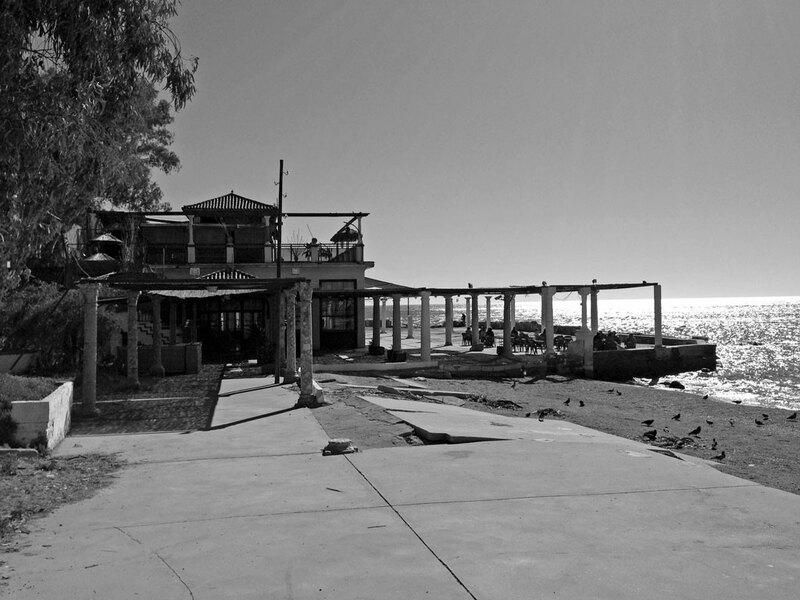 08] Image of the current state of the main building of the "Baños del Carmen". Photo: Mar Loren-Méndez, February 2013. [Fig. 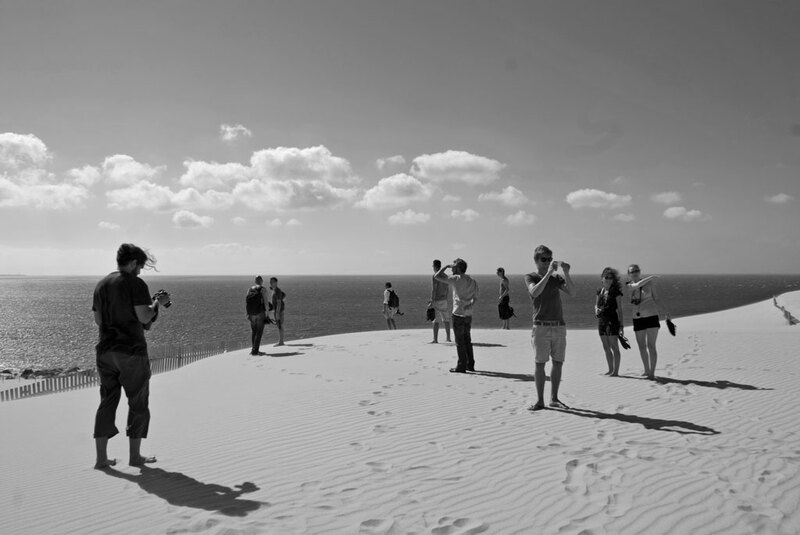 09] General view of the Dune on Valdebaqueros, declared Natural Monument, during the site visit. 06 Workshop. First Rotation September-October 2011. Photo: Mar Loren-Méndez, September 2011. [Fig. 10] Guided visit to the historic centre of Malaga, during our first trip to the "Baños del Carmen". 08 Workshop. 2nd Rotation January-February 2013. 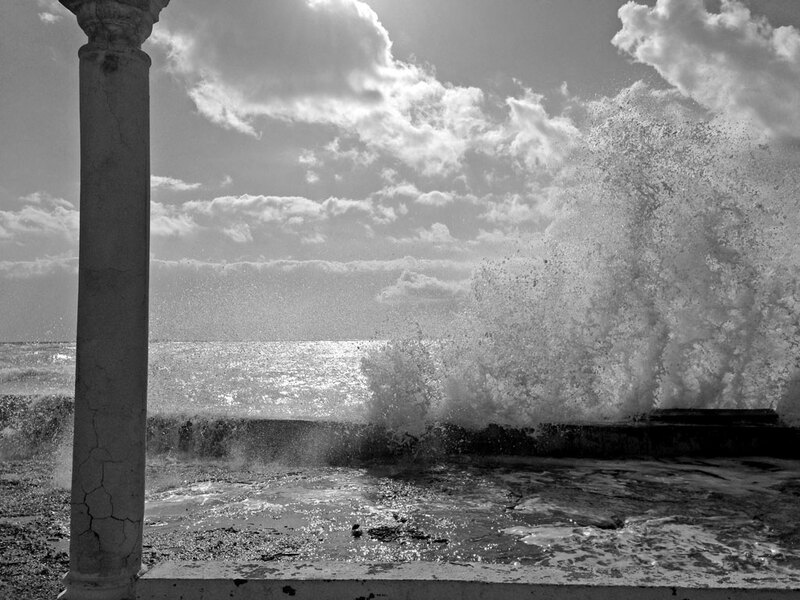 Photo: Mar Loren-Méndez. January 2013. The six-week module combines the structure of a workshop with seminars taught by researchers on the topic and an intensive on-site experience. The experience of the site becomes critical in the research process. Seville University module has also explored the boundaries of the discipline, and has transferred to the program alternative and interdisplinary methods to identify, analyse and design. [Fig. 09] [Fig. 10] It is structured asymmetrically, with the seminars and on-site exercises in the first three weeks, while the second part is focused on developing the architectural proposal. [Fig. 11] Natural Artificial, Installation "Artificial Reserve". 06 Workshop. 1st Rotation September-October 2011. Authors: Kaisa Lasner, Kassem Eida and Niklas Thies. [Fig. 12] Installation "Being and Time". 06 Workshop. First Rotation September-October 2011. Authors: Sebastian Seyfarth, Elena Herwarth Von Bittenfeld and Jaan Kuusemets. 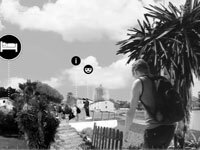 In Bolonia Bay, Cadiz, the students of the 1st rotation had the opportunity in the first week to produce a creative analysis of the site, integrating art, architecture and public space: based on a topic chosen by the group, they presented an installation / on-site artistic action. 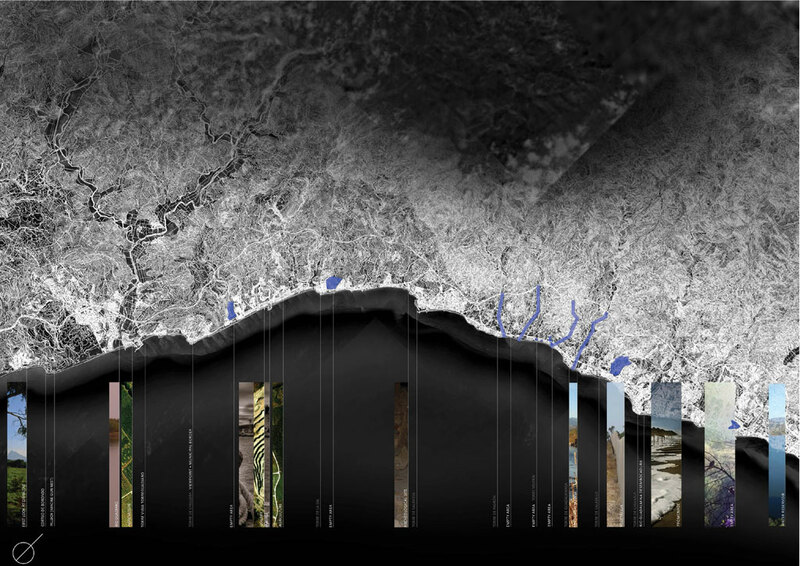 The aim of the first exercise was to introduce students to alternative analysis of territorial transformation on the coast, working on a critical reflection on the concept of cultural landscape, located on the Strait of Gibraltar Natural Park, Bolonia Bay also raises the issue of the frontier and the border. 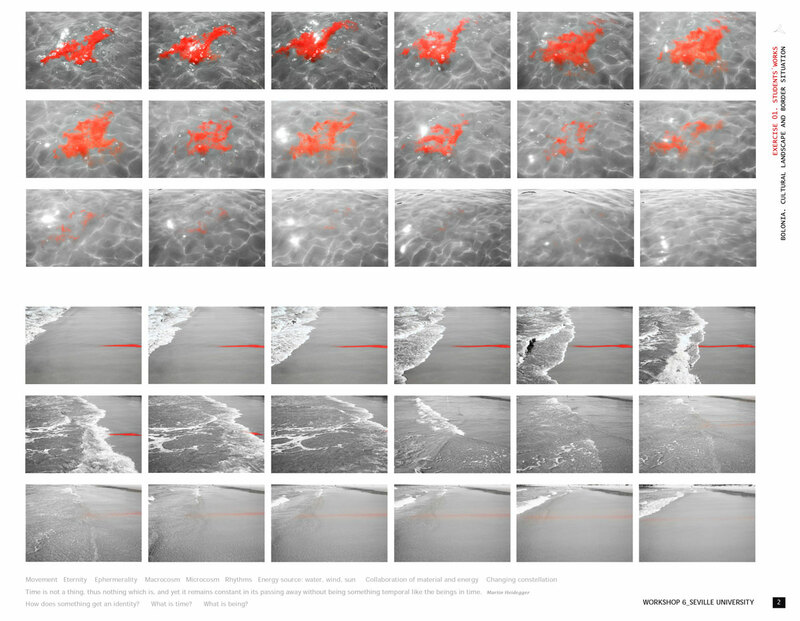 The submission format was a video, in which the group had to depict the main concept that guided their analysis and the installation – the materials, the process, the results. [Fig. 13] Installation. 08 Workshop. 2nd Rotation January-February 2013. Authors: Nabila Aftab, Urbano Guerrero, Pedro Pedro. [Fig. 14] Installation. 08 Workshop. 2nd Rotation January-February 2013. Authors: Pierre Broca, Michal Baroz and Anje Heymann. [Fig. 15] Dérive "Vamos a la playa". 06 Workshop 1st Rotation. September-October 2011. Authors: Jose Pavón, Raiko Reinson and Hyungi Jung. [Fig. 16] Dérive "Building a mental map". 08 Workshop. 2nd Rotation. January-February 2013. Authors: Juliane Klünter, Melody Mosavat and Gonçalo Ponces. 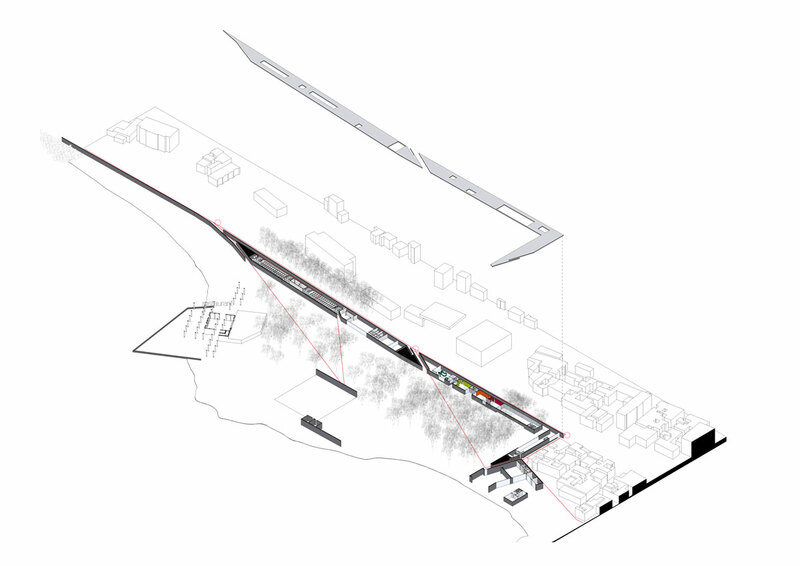 After the dérive, more objective methods of analysis were incorporated to the design process. Conclusions integrated the findings of the dérive, but also the reflections of the seminars, the history, the physical constraints, the architectural and urban projects, the heritage dimension and also cultural references from other arts. This phase also included the first ideas of the intervention strategy, defining the scope and the scale and the main agents / users and the first ideas for a program. [Fig. 17] Proposal. 06 Workshop 1st Rotation. September-October 2011. Authors: Pille Noole, Ioannis Lykouras and Eduardo Magno. [Fig. 18] Proposal. 06 Workshop 1st Rotation. September-October 2011. Authors: Pille Noole, Ioannis Lykouras and Eduardo Magno. [Fig. 19] Proposal. 06 Workshop 1st Rotation. September-October 2011. Authors: Thomas Forjaz, Anne Gross and Üllar Ambos. [Fig. 20] Proposal. 06 Workshop 1st Rotation. September-October 2011. Authors: Thomas Forjaz, Anne Gross and Üllar Ambos. [Fig. 21] Proposal. 06 Workshop 1st Rotation. September-October 2011. Authors: José de la Peña, Erko Luhaaru and María Bello. [Fig. 22] Proposal. 08 Workshop. 2nd Rotation. January-February 2013. Authors: Gregor Blisse, Paulina López and Benoît Pastel. 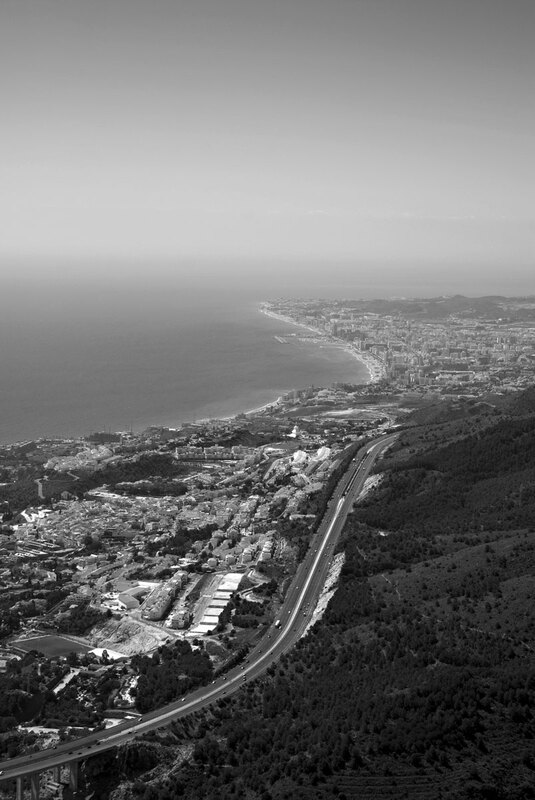 The Baños del Carmen is in fact the last unbuilt coastal space in the capital of the Costa del Sol. Considered a mythic enclave, it was once a symbol of a modern society. That is why associations and citizens are so involved in the decision process for the future of the site; this spa is a mythic locus, that was once a symbol of a modern society, approaching leisure in contact with the sea not only from an hygienic perspective but also from a more complex, hybrid, cultural experience that involved dancing, playing music and sports, projecting movies. [Fig. 23] Proposal. 08 Workshop. 2nd Rotation. January-February 2013. Authors: Marine Tillet, Mehdi Pamsari and Asif Raiyan. It was critical to assure the transference between Seville University and the Master's program. Beyond the site experience or the learning and design methods that we are sharing now, the students and the program could benefit from the research topic on coastal transformation and tourism on which Seville University is working. On the other hand, the Master's results could offer a feedback, enriching the on-going research. This specific research topic "Coastal transformation and Tourism." 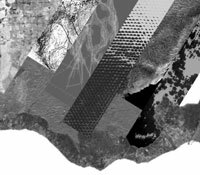 has been developed since 2005 in our research group HUM-666 Ciudad, Contemporary City, Architecture and Heritage (Ciudad, Arquitectura y Patrimonio Contemporáneos, CAPC, www.investigacioncontemporanea.com) with some competitive projects, prizes and publications. It is critical to establish a continuous flow between learning and researching, promoting the integration of architecture and research within the learning process. [Fig. 24] Final Presentation, Exhibition and Diploma Submittals. 06 Workshop 1st Rotation. 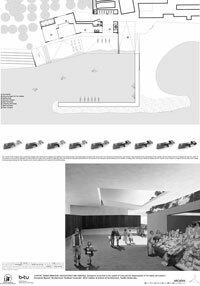 School of Architecture, Seville University. September-October 2011. [Fig. 25] Final Presentation, Exhibition and Diploma Submittals. 08 Workshop. 2nd Rotation. Baños del Carmen, Málaga, February 27, 2013. [Fig. 26] Final Presentation, Exhibition and Diploma Submittals. 08 Workshop. 2nd Rotation. Baños del Carmen, Málaga, February 27, 2013. It was also important to offer the exhibition of the results to Seville University academic community. [Fig. 24] In the 2nd rotation we went further and an open seminar in Malaga, in the "Baños del Carmen", was the perfect scenario for the final presentation. The participation of other architectural schools, foundations and associations committed to the place together, woke the interest of the media, which also participated intensively. [Fig. 25] [Fig. 26] The session ended up with the associations and locals thanking the European Master, the students and the professors for the effort devoted to what they consider their own. I would like to point out that this has been a team work and I want to emphasize the contribution of the local professors Esther Mayoral, Gabriel Bascones, Manuel Gutierrez de Rueda and José Pérez de Lama. Without them this would have not been possible. I also want to especially mention all the experts that participated in our seminars and visits. Congratulation to the students for an inspiring work and thanks for their commitment; we have indeed shared an on-going learning and research process. I cannot forget to mention the interaction with the other professors of the network that I am sure has enriched the results: our discussions over presentations and exhibitions but also over dinners and informal conversations have been key to understand our role within the whole Master, trying to complement and reinforce in parallel directions. This European Master went beyond an academic training and was able to construct an international network that now is there to stay. I would like to thank Inken Baller for her key role in our participation in the Master's program. I can only finish thanking Dagmar Jäger for inviting me to be part of the partnership, for her continuous work, making this visionary program possible. 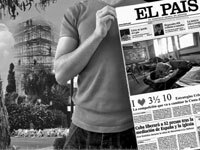 Marc Augé: Los "no lugares": espacios del anonimato: una antropología de la sobremodernidad. Barcelona 2008. [translation, Margarita N. Mizraji] (Original: Non-Lieux. Introduction à une anthropologie de la surmodernité. Seuil 1992. Mar Loren-Méndez: "La Costa del Sol como sistema de diferencias. El conglomerante residencial" in: Costagrafías. El litoral turístico como sistema de diferencias. Sevilla 2014. 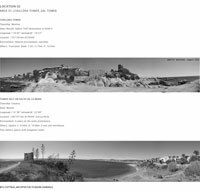 (Developed in the research project Costa del Sol: Arquitectura, Ciudad y Territorio with The Andalusian Government, October 2008) S. 99-113. Mar Loren-Méndez: "Los paisajes de la felicidad. Los Baños del Carmen, patrimonio mediterráneo en Andalucía" in: Edap. Documentos de Arquitectura y Patrimonio Nr. 05, 2012, S. 10-19. Ignasi Solá-Morales: "Introduction", Differences. Topographies of Contemporary Architecture. Cambridge, MIT, 1997, S. 3-12. Department of architectural history, theory and composition with International Master's Programme A.S.G. 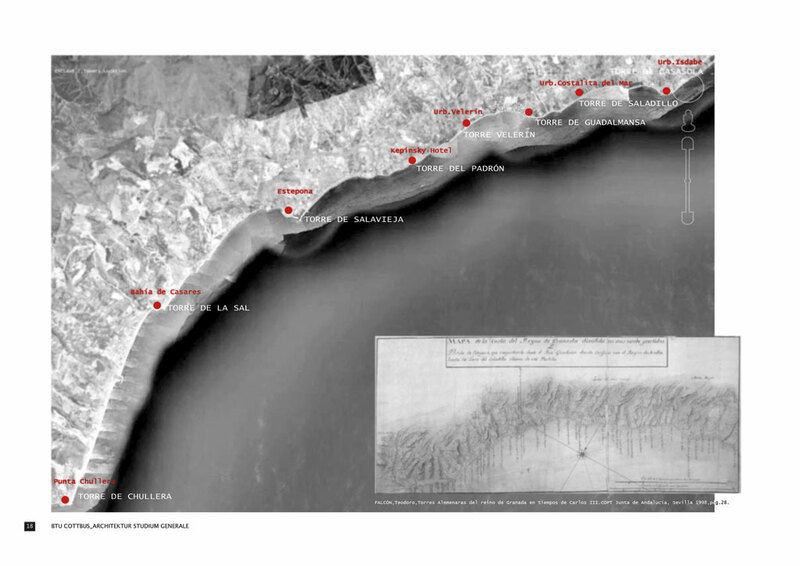 / Reiseuni_lab, Module "Theory & History"
The module: "Territory, Cultural Landscape and Urban Development on the Andalusian Coast. Tourism and Social Sustainability" is part of the European Master "Architecture Studium Generale" postgraduate course run by BTU Cottbus, Germany. As well as external candidates, students attending the Master's Programme are from Consortium Universities in Germany, Austria, Spain, Estonia, Israel and Portugal. The Master's Programme focuses on the transformation of the European city in the 21st century and is based on four fundamental parameters: The generalist and interdisciplinary nature of architecture, cosmopolitism resulting from increased mobility, an emphasis on research and the importance of direct site-specific experience – with each module of the programme taking place in a different city. The module considers territorial transformation of the coast, a phenomenon of critical importance both at European and international level. 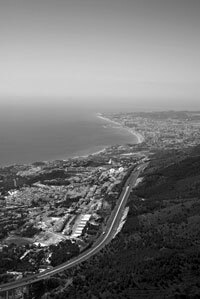 Given its outstanding geography and climate, the development of tourism on the Andalusian coast, specifically the Western part of the Costa del Sol but also beyond on the shores of the Strait of Gibraltar, started as early as the 1950s. An interpretation of this area as a potential model for tourism led to a process of accelerated urban development driven by aggressive speculation throughout the second half of the 20th century. This part of the Andalusian coast is now, at the beginning of the 21st century, fully consolidated: studies that consider this area purely on the basis of tourism however, are incomplete and it is necessary to adopt a wider overview which encompasses not only tourism as a key feature, but also other dynamics in the area. As the phenomenon is so complex, it is however impossible to apply traditional research tools or a linear methodology. The prevailing trend towards over-simplification and a macro-analysis of the territory in isolation, a reductive, homogenous approach, needs to be counterbalanced by historical, critical and architectonic considerations reflecting a multifaceted system that is both plural and diverse. The module combines monographic seminars based on the history of selected sites and related architectural proposals as well as on-going workshop activities. Workshops include personal assessment activities, critic sessions as well as compulsory visits to the site and site-specific research. The appointed team of workshop professors, visiting lecturers and professionals will give accompanying lectures. 1 A short exercise: "Bolonia, cultural landscape and border situation" will take place during the first week in the "Parque Natural del Estrecho, Ensenada de Bolonia"
[Nature Reserve of the Straits of Gibraltar, the Bay of Bolonia]. Please find attached an outline and additional information. Exercise 1. 2 In a second exercise on a larger scale: "II: Coastal transformation and tourism: Costa del Sol", the students will present a proposal for an architectural intervention on the Costa del Sol. Please find attached an outline and additional information. Exercise 2. Acquiring critical knowledge of the processes of coastal development and transformation. Relating architecture to dimensions of urban planning, territory and landscape. 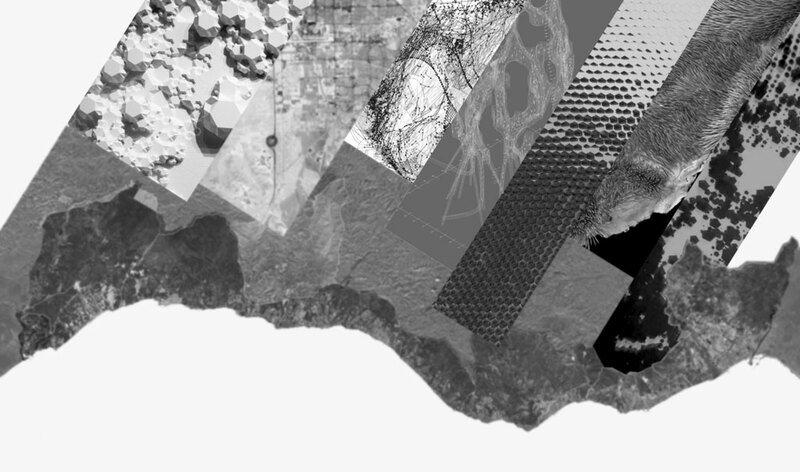 Developing an interdisciplinary approach to architectural research and practice. Introduction to research in architecture. Development of critical and original thinking in students; encouraging independent, active research. Emphasizing the value of acquiring direct experience of the object of study as key to architectural research and intervention. Developing critical and propositional analysis, combining the most objective knowledge with the most subjective level of interpretation by applying alternative approaches to the constructed reality. Raising awareness of difference as an asset. A history and theory of architecture, where plurality is valued and promoted, as opposed to the universalist topology of established models. Increasing social awareness whereby sustainability is a key factor in the regeneration of coastal tourist areas. 9.00-11.30 Master Opening. Pabellón de México, Universidad de Sevilla, Paseo de las Delicias s/n. 10.00-11.30 Opening Lecture, Guillermo Vázquez Consuegra, architect. 12.00- 13.00 Welcoming Tour. School of Architecture. Avda. Reina Mercedes 2. 15.00-17.00 Seminar, exercise I. "Bolonia. Cultural Landscape and border situation" contents and methodology. 17.00-18.15 "Bolonia Bay as cultural landscape. 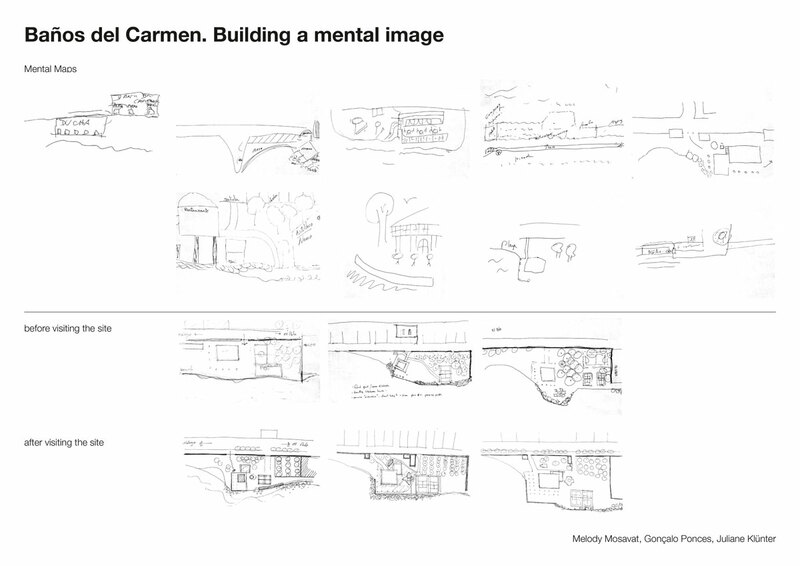 Diagnosis and Proposals" Prof. Marta García Casasola, architect, Ba. M. Arch. Seville University, Andalusian Institute of Historic Heritage. 18.30-19.45 "Working on Public Space. Citizenship and Action." 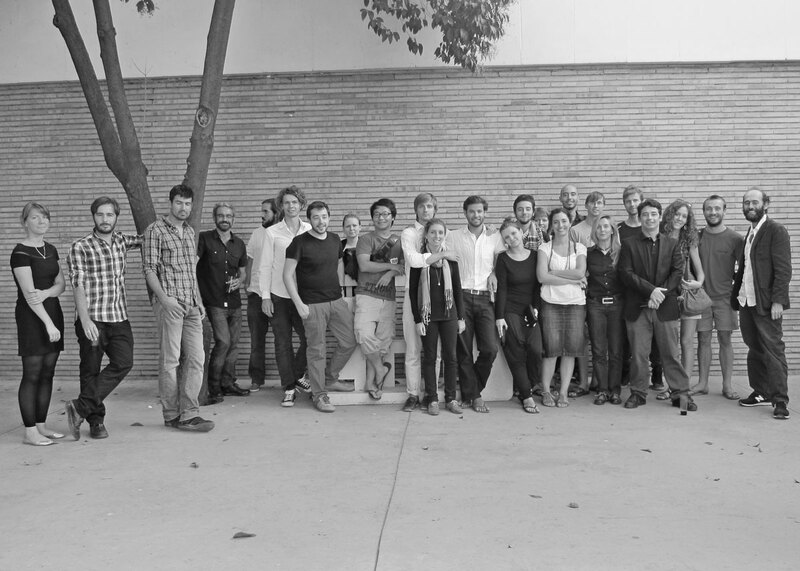 Prof. Mónica García Martínez, architect, Department of Architectural Projects, School of Architecture, UPV, Universidad Politécnica de Valencia. 10.00-13.00 Visit to the proposed Itineraries for exercise 1. Map attached with the itineraries. 16.00-19.00 Guided visit to the archaelogical site of Baelo Claudia. Presentation of the Exhibition "Space Symmetries." 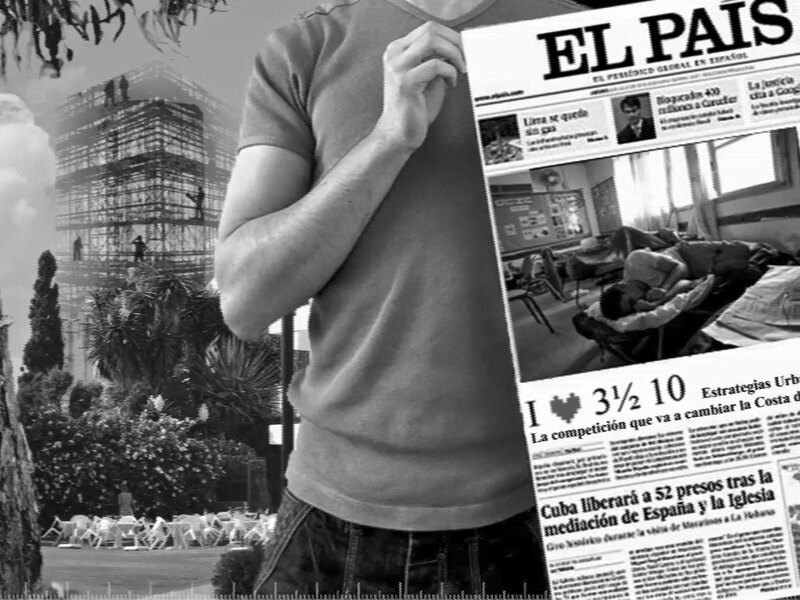 Antonio Pérez, photographer, author and curator of the exhibition. 9.00- 10.15 "Architecture, Nature and Representation" Prof. Mónica García Martínez, architect, Department of Architectural Projects, School of Architecture, UPV, Universidad Politécnica de Valencia. 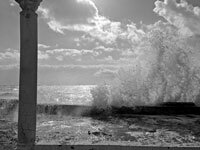 10.15-11.30 "Notes of emergencies on the Strait of Gibraltar" Prof. Dr. José Pérez de Lama, architect, Department of Architectural History, Theory and Composition. 8.30-16.30 Personal Work | 17.00-20.00 Final Presentation. Auditorium at the Baelo Claudia Center. Visit 3. Exercise 2. Costa del Sol. Guided tour. Location 1. The void at the seashore. Historic city, infrastructure and harbour. 9.00-17.30 Seminar, Exercise 2: Coastal transformation, heritage and tourism: Costa del Sol"
9.00-13.30 "Costa del Sol: A system of differences" Prof. Dr. Mar Loren-Méndez. "Costa del Sol: Natural and Artificial." Prof. Rafael de Lacour. 14.30-17.30 RIZOMA Foundation. Prof. Dr. José María Romero, Prof. Dr. Eduardo Serrano. Visit 4. Costa del Sol. Workshop. Derive. 9.00-13.30 Seminar, Exercise 2: Coastal transformation, heritage and tourism: Costa del Sol"
Professors of Seville Workshop and Prof. Dr. Dagmar Jäger, director of the Master programme. Prof. Dr. Dagmar Jäger (Cottbus, responsible for the cooperative Thesis), Prof. Dipl.-Ing. Inken Baller & Prof. Arch. 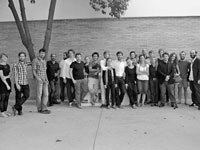 Chris Burns (teacher's team of Design Reflection 2, Cottbus) together with the local professors of the Partner Universities, Prof. Arch. Irina Raud & Prof. Arch. Rein Murula (Tallinn), Arch. 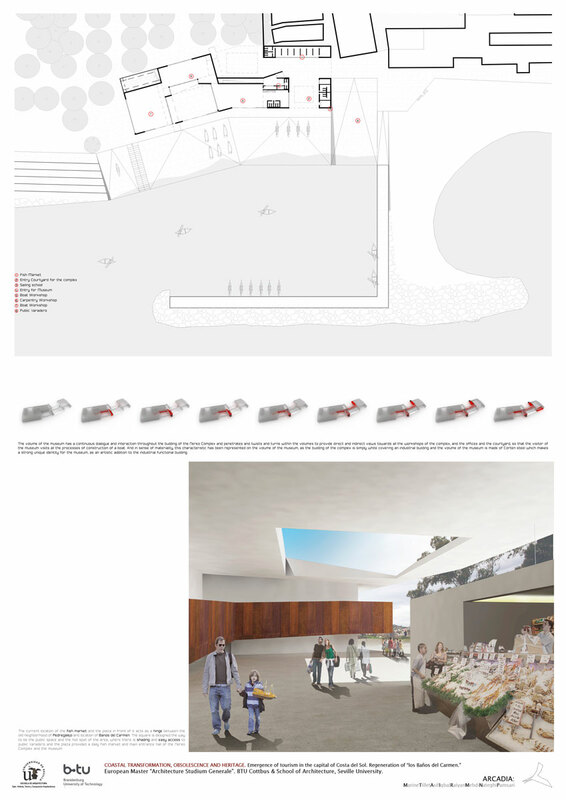 Ayala Ronel (Tel Aviv), Prof. Arch. Flavio Barbini & Prof. Dr. Ricardo Carvalho (Lisbon), Prof. Dr. Mar Loren-Méndez (Sevilla), Prof. Dr. Maria Schneider (Innsbruck) and Dr. Arch. Izabela Mironowicz (Wrocław, In-between review), Prof. Dr. Riklef Rambow (Cottbus, 1st Thesis). These professors constitute the jury board during the Master's thesis portfolio evaluation, in-between and final presentation / examination in September 2012.